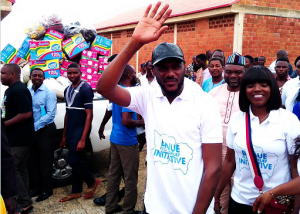 Benue born musician, Innocent Idibia, popularly known as 2Baba, has donated assorted relief materials to Internally Displaced Persons in Makurdi. 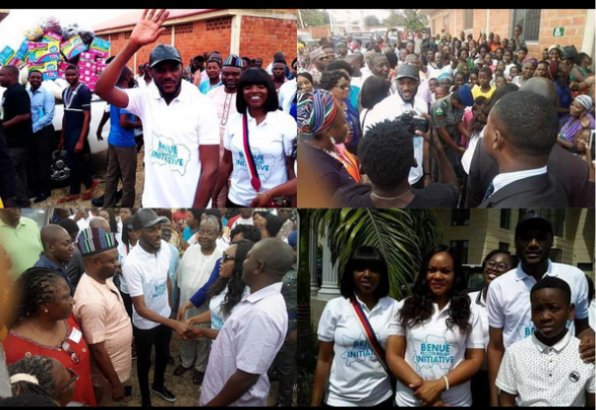 Idibia, accompanied by his wife, Mrs Ann Idibia and his friends, made the donation on Tuesday. He said that his prompt response to the plight of the displaced persons was to let them know that he, his family and friends were solidly behind them. “The gesture is aimed at giving hope to the displaced persons and to ameliorate their hardship,” he said. He assured the displaced persons that he and his friends would send more relief materials to them to cushion their sufferings. While urging the IDPs not to loose hope, Idibia promised that they would not be forsaken by individuals, groups and the government. The Wife to the Benue Governor, Mrs Eunice Ortom, commended Idibia for coming to the aid of the displaced persons. She said that the state was proud of him for the humanitarian assistance he had been rendering to people across the globe. She said that the materials donated by him and others would help to ameliorate the sufferings and bring succour to the IDPs. Ortom also expressed appreciation to other individuals, corporate organizations and government, who donated relief materials to the displaced persons. She noted that the gesture was demonstration of love and concern for the displaced persons. A representative of Fidelity Bank, Mr Emmanuel Aduku, said the bank had donated relief materials worth N1 million to alleviate the sufferings of the IDPs.